Dr. Julia Bronson is a Graduate of Midwestern University Arizona College of Dental Medicine. As an undergraduate, she double majored in Psychological Brain Sciences and Spanish at Dartmouth College while playing Division 1 NCAA Women’s Ice Hockey. 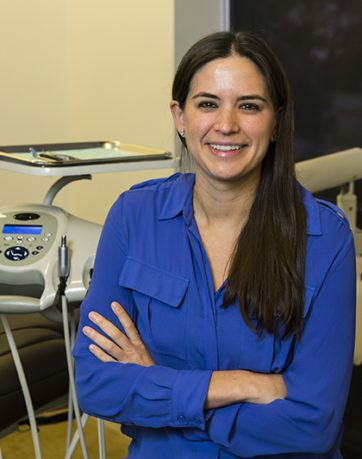 Dr. Julia Bronson’s athletic background has geared her towards Integrative General Dentistry with special interests in airway and its influence on growth & facial development, Quantum ALF Orthodontics, TMD, Cosmetic and Laser Dentistry, and Dental Implants. She is a clinical faculty member at the ALF Educational Institute and is presently on the Board of Directors with the Academy for Sports Dentistry.